Left: A completed Energy House model, after all the experiments are finished. Left: Using a thermometer during an experiment. 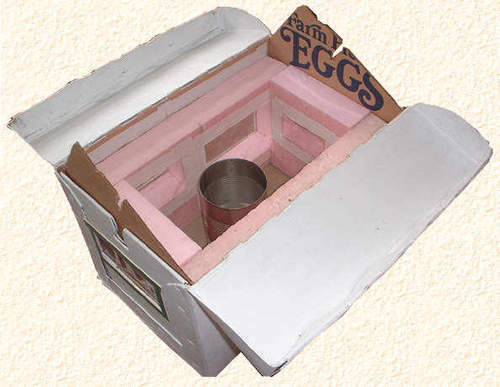 Above: A top view, showing the Energy House open, with coffee can "furnace", ready for an experiment.